Tourism in Thailand’s Phi Phil Islands has exploded in recent years, making the beautiful beaches, clear water, and natural beauty more accessible to visitors. This group of six islands is one of Thailand’s oldest communities, dating back to the prehistoric period. Scuba diving is incredibly popular here because the underwater life is so fascinating and diverse. Vacationers have seen everything from leopard sharks, dolphins, and black-tipped reef sharks on their underwater adventures. 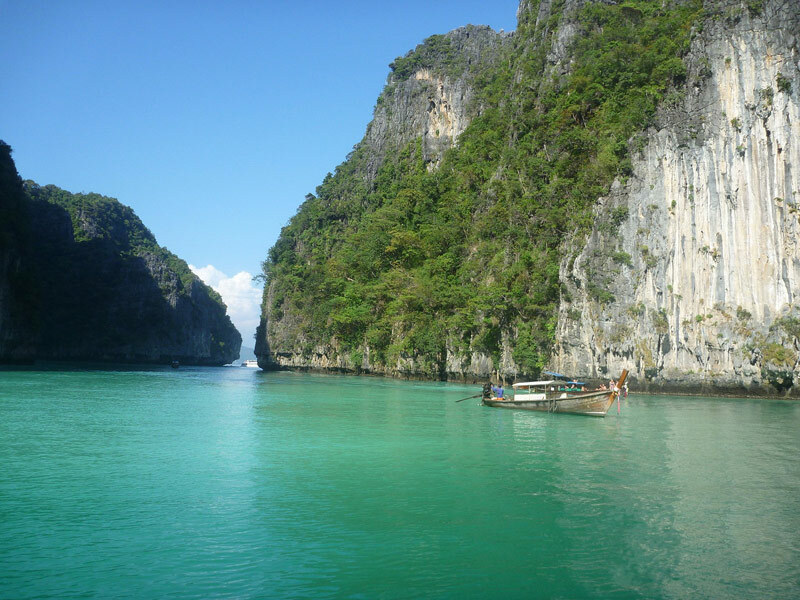 The most popular time to visit is between November and May, when there is very little rainfall, and the best way to reach the islands is by boat from Phuket or Krabi. 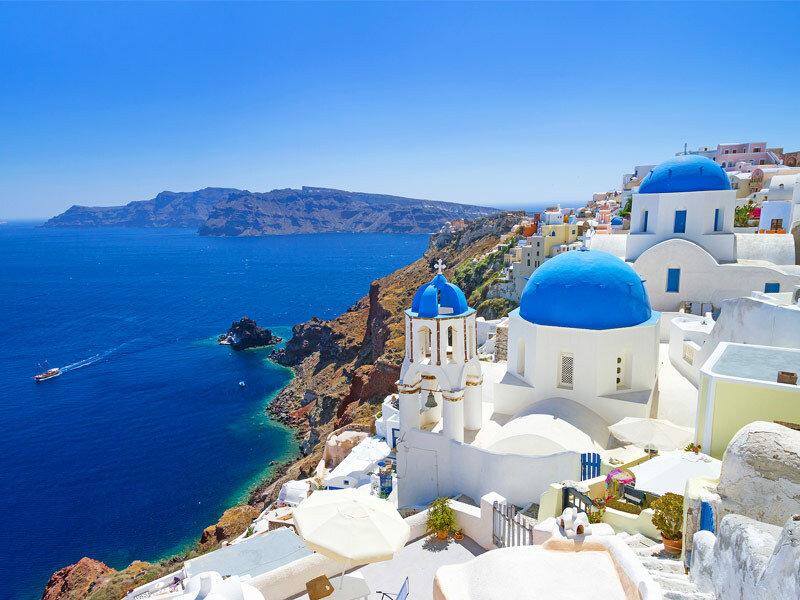 The volcanic island of Santorini is best known for its dramatic vistas, inspiring sunsets, and colorful pebble beaches. High along the cliffs, there are several villages on Santorini Island with traditional architecture, ancient ruins, and authentic wineries. The capital city, Fira, boasts of white cobblestone streets, shops, taverns, hotels, and cafes. The island’s most beautiful sunsets can be viewed from Oia, a town along the Ammoundi Bay with whitewashed walls and majestic blue domes. The most popular time to visit Santorini is between May and October, and you can reach the island by airline charter or ferry. High in the Andes Mountains, Machu Picchu is the site of an ancient Inca city and a UNESCO World Heritage site. Although it is one of the most impressive collections of ruins in the world, many travelers find Machu Picchu to be crowded during peak season. One of the most popular things to do here is to hike the Inca Trail, although you should reserve your spot several months in advance. The Salkantay trek and the Inca Jungle trek are also popular among hikers. Several tour companies operate adrenaline-fueled excursions to Machu Picchu that involve biking, hiking, rafting, and zip lining. 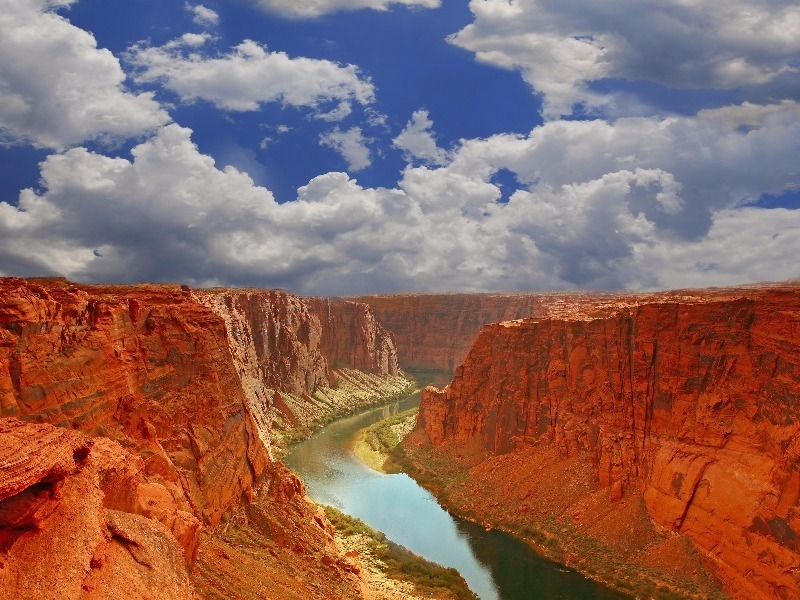 Stretching over 200 miles, the Grand Canyon was carved out by the Colorado River over thousands of years and is one of the world’s most spectacular geological wonders. Take your time and view the canyon’s massive gorges and rock formations from a variety of vantage points. Thrill-seekers will love the strenuous hike to the bottom along the Rim or Bright Angel trail. Several guide companies offer exciting whitewater rafting trips through the canyon on the Colorado River as well. March through May and September through November are the best times to visit because the temperatures are cooler and the crowds are slimmer. One of the most romantic places to visit on Southern Italy’s Amalfi Coast is the town of Positano. Visitors can expect to see charming Medieval architecture and colorful pastel houses, while experiencing some of the best cuisine Italy has to offer. The city was built on the face of a cliff and first became popular with writers and artists in the 1950s. Walking is the best way to get around, although you should be prepared to take a lot of stairs. Peak season is between April and October, although the city enjoys a mild climate all year. There are many high-end fashion boutiques here, and don’t forget to sample the city’s specialty drink, limoncello. While the North Pole enjoys the Aurora Borealis, the South Pole has the Aurora Australis. The most amazing place to see the Aurora Australis, or “Southern Lights,” is the wild and untamed continent of Antarctica. 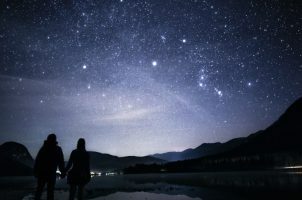 It is only visible from the southern latitudes and has never been viewed above the 30-degree latitude line. This phenomenon often appears as a glowing green or red curtain of light in the night sky. Although there is no definitive aurora cycle, they are associated with solar wind activity and most common at the peak of sunspot cycles. Auroras are a photographer’s dream, and truly a once-in-a-lifetime experience. The Dolomites are a mountain range in northeastern Italy, and they’re one of the top hiking destinations in the world. But be aware that among the the range’s 18 peaks, this region is prone to landslides, avalanches, and floods. The Dolomites are part of the Italian Alps and very popular among skiers and mountain climbers. Free climbing (climbing without safety gear) has been a tradition here since the 1800s, and base jumping, paragliding, and, hang gliding are also very popular. Visitors tend to congregate around Rocca Pietore near the Marmolada glacier, as well as in the valleys of Badia, Gardena, and Fassa. Some of the world’s rarest and most fascinating plant and animal life has made its home in the Galapagos Islands. 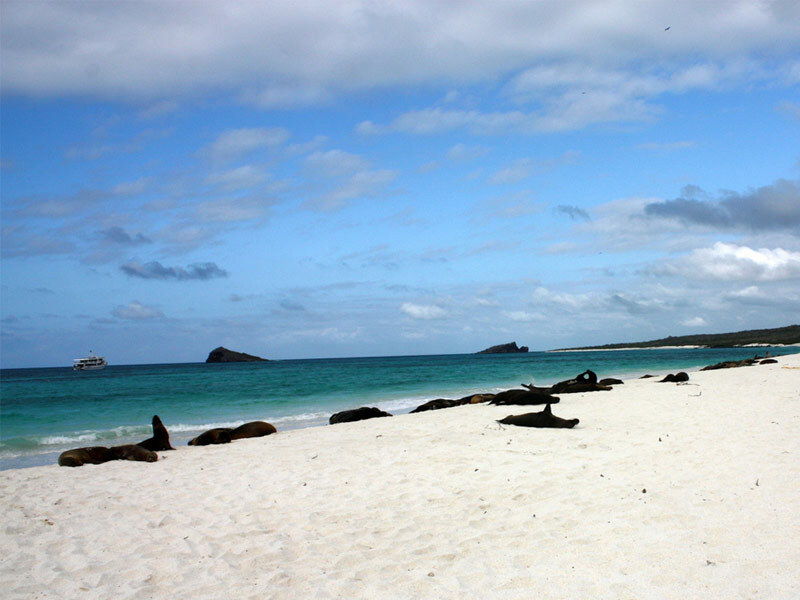 Galapagos is made up of 19 islands, which are part of Ecuador and located 1,000 km off the South American coast in the Pacific Ocean. Peak season for naturalists and historians is between December and May, although wildlife is also active during July and August. The islands are best explored by boat, and boat tours should be booked well in advance of your trip. Check out the giant tortoise breeding program at the Charles Darwin Research Center, go snorkeling to see marine wildlife, and climb the Bartolome hill for a view of it all. Located in the Sierra Nevada mountains of east-central California, Yosemite National Park is famous for its waterfalls, granite cliffs, giant sequoia trees, and abundant wildlife. Around 4 million people visit the park each year to explore Yosemite’s 800 miles of hiking trails, 350 miles of roads, and 1,600 miles of streams. Visitors may encounter black bears, mule deer, bighorn sheep, bats, and many other creatures during their stay. Weather changes rapidly in the park, and elevation plays a huge part in snow conditions. 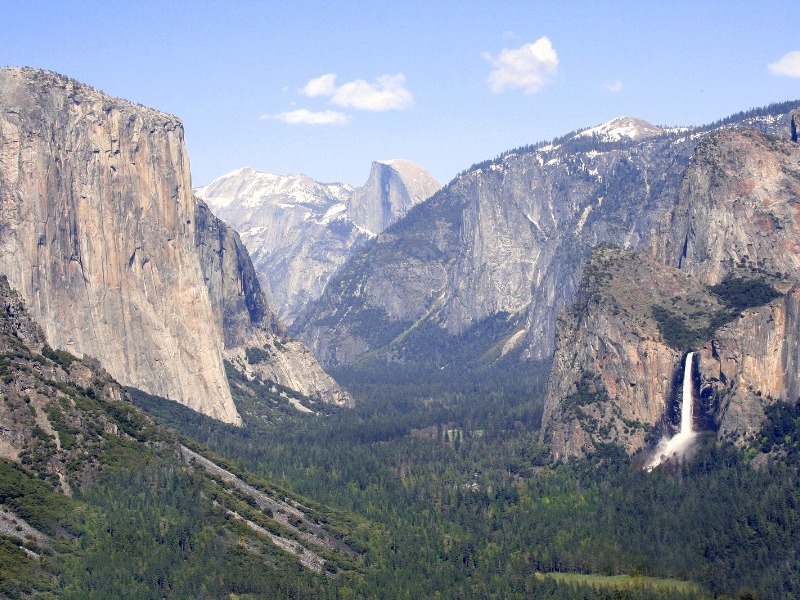 Be sure to hike and explore the park’s magnificent landmarks at El Capitan, Half Dome, Tunnel View, and Yosemite Falls. Just outside the Egyptian city of Cairo lie the legendary Pyramids of Giza and the Great Sphinx. These pyramids, which were built as the final resting place for pharaohs, are the only surviving ruins of the original 7 wonders of the world. Most visitors choose to take a tour or hire a car to see the pyramids, since the area is enormous. Bring a guidebook with you, since many of the landmarks and tombs are scarcely marked. 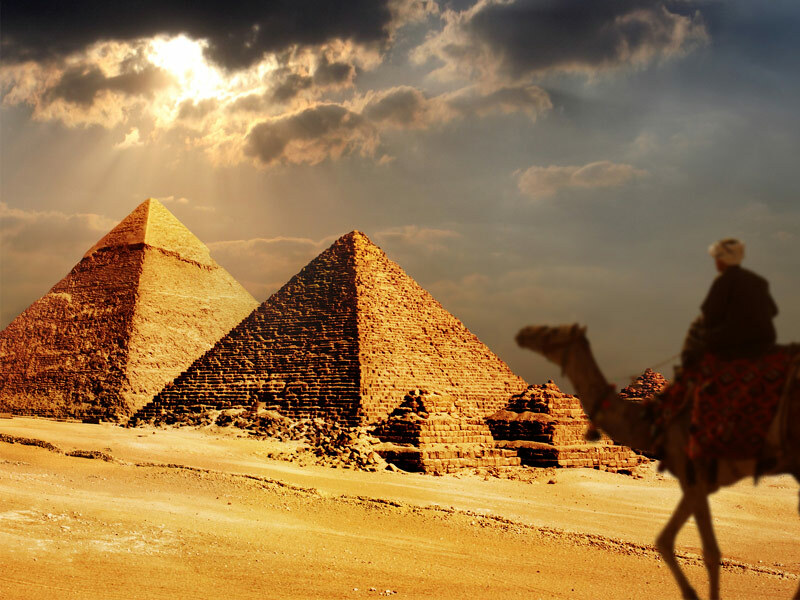 The most popular sites include the Great Pyramid of Khufu, which is composed of over 2 million blocks, as well as the pyramids of Snefuru, Khfre, and Menkaure.